Following the completion of his divorce to MacKenzie, Jeff Bezos was spotted out with two of his four kids on Saturday. The Amazon (AMZN) CEO was seen in New York City lunching at the restaurant Emily, followed by a walk, and a visit to Mah Ze Dar Bakery for ice cream, the Daily Mail reported. Bezos was not wearing a wedding ring at the time, according to the news outlet. Bezos kept it casual as he wore a baseball cap and sunglasses while a security guard kept tabs on the family. This is the first time that Bezos has been seen out with his children since he finalized his divorce with MacKenzie on April 4. Bezos and MacKenzie have three sons and an adopted daughter from China together. The couple announced their divorce via Twitter after 25 years of marriage. In the divorce, MacKenzie retained 25 percent of the company shares in Amazon, worth $35.8 billion. 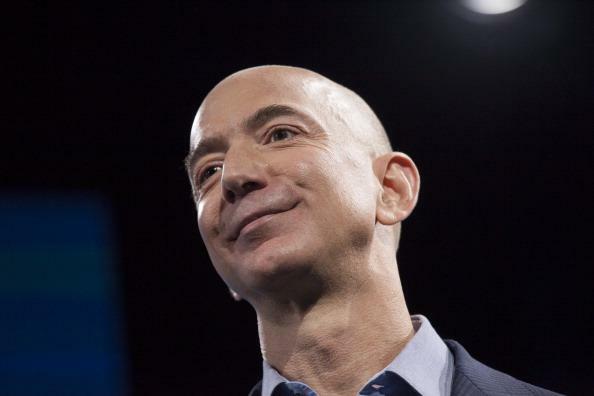 Bezos has $107.5 billion in shares of the company, making him the richest man in the world. Bezos has a relationship with former news anchor, Lauren Sanchez. The pair were having an affair at the time of Bezos divorce. Sanchez was also married at the time. She has since filed for divorce from Patrick Whitesell. MacKenzie has not been publicly seen since the announcement of her divorce in January. Shares of Amazon stock were up 0.10 percent at market close on Monday.